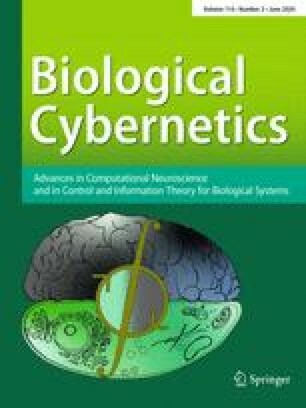 This work contains a theoretical study and computer simulations of a new self-organizing process. The principal discovery is that in a simple network of adaptive physical elements which receives signals from a primary event space, the signal representations are automatically mapped onto a set of output responses in such a way that the responses acquire the same topological order as that of the primary events. In other words, a principle has been discovered which facilitates the automatic formation of topologically correct maps of features of observable events. The basic self-organizing system is a one- or two-dimensional array of processing units resembling a network of threshold-logic units, and characterized by short-range lateral feedback between neighbouring units. Several types of computer simulations are used to demonstrate the ordering process as well as the conditions under which it fails.